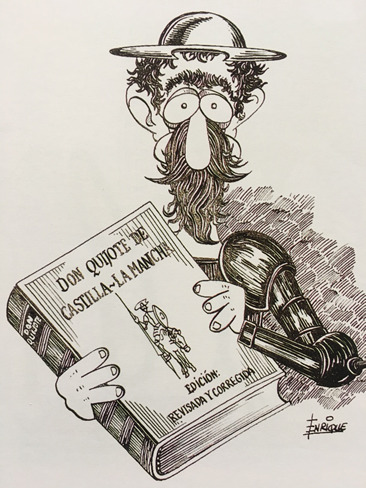 On October 13 to 20, 2018, at the International Cartoon Exhibition of Alcala in Spain, a group of interesting "Confucius" cartoons attracted a wide audience. 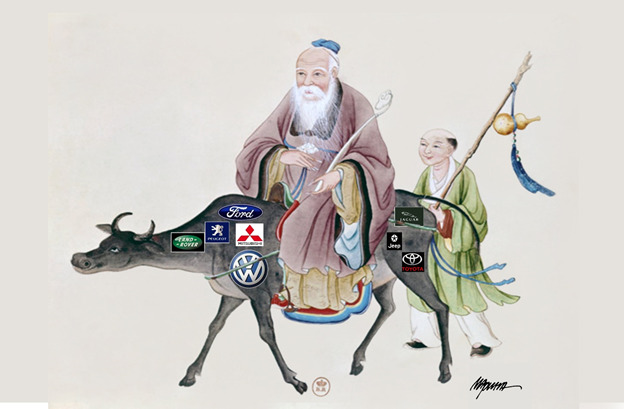 With original concepts and exaggerated forms, this group of works completely subverts people's understanding of Confucius, the ancient sage of more than 2000 years ago. 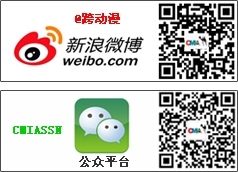 In the works, he is funny and amiable: sometimes he watches his cellphone with smiling eyes and relaxed eyebrows, sometimes he taps his sayings on a computer in English. The diverse forms of the work – black and white line drawing, flat colors, cut and paste, abstract color blocks – was also appreciated by the audience. 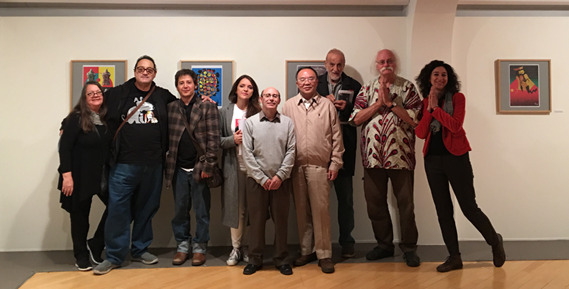 The refreshed "Confucius" exhibition was co-supported by Mr. Wang Liuyi, Secretary-General of the International Association of Multimedia Culture(CMIA), and Mr. Juan, Director of the Cartoon Research Institute of the University of Alcala（CRIUA）. 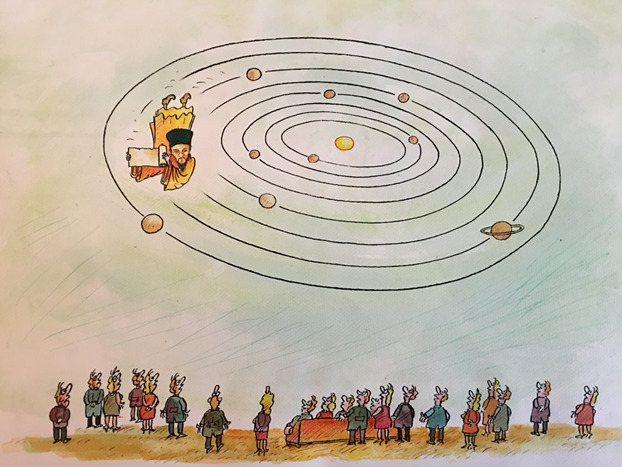 In 2017, with the help of Secretary-General Wang liuyi and the CMIA, China's cutting-edge comic exhibition premiered in Europe and was showcased in the Cartoon Institute Pavilion of the University of Alcala. 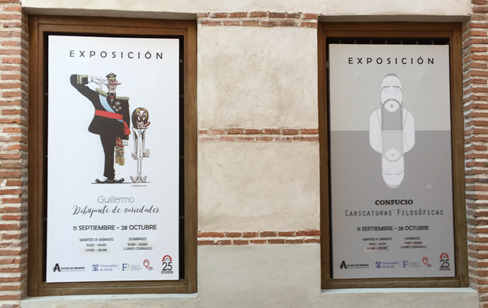 This exhibition also impressed the people of Alcala and even Spain with the unique appeal of the works of young Chinese cartoonists for the first time. 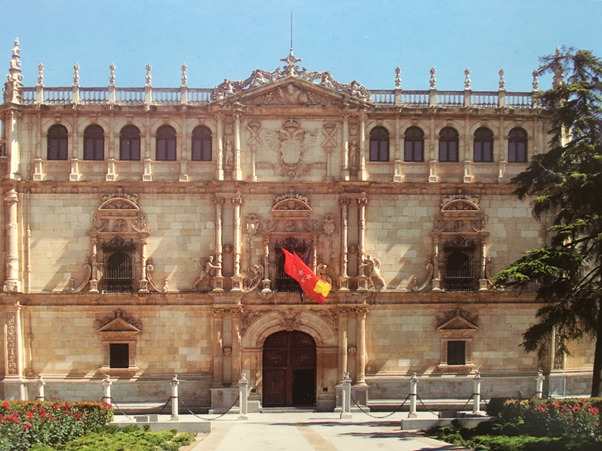 Founded in 1449, the University of Alcala is the oldest university and one of the most influential universities in Spain. 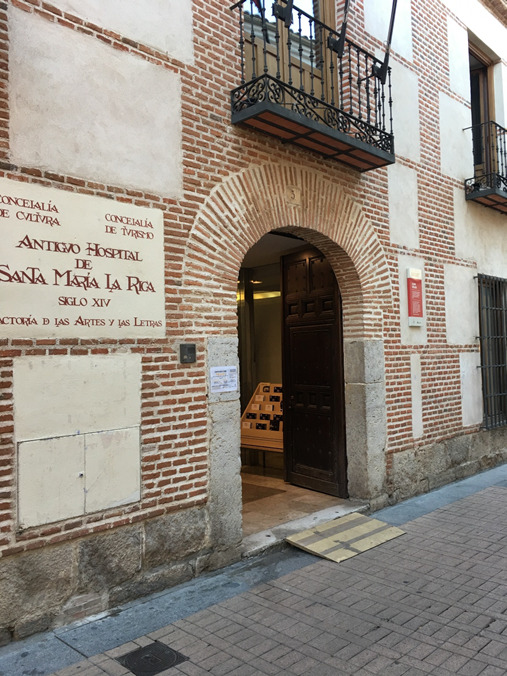 The annual worldwide award ceremony of the Cervantes Prize in Spain is held here. The CRIUA is also one of the important projects funded by the Alcala University Foundation. 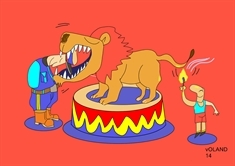 Throughout its 25-year history， the CRIUA has been devoted to the cooperation and exchange of international cartoons, especially with Latin America. 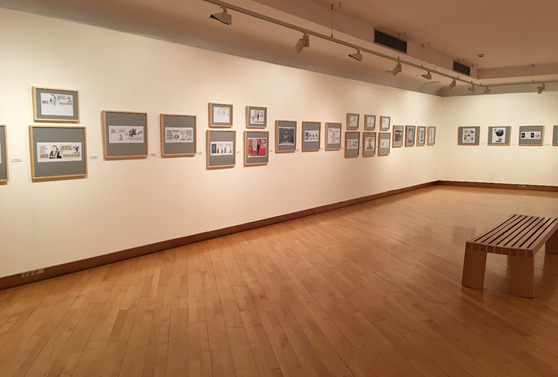 From the China's cutting-edge comic exhibition in 2017, Alcala University opened the door of comic exchange between China and the Spain through its cooperation with the CMIA, and this special exhibition of Confucius brought the possibility of communication, understanding and deeper interaction between Chinese and Western cultures. 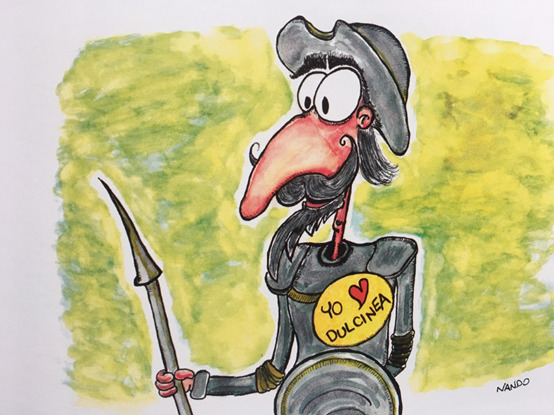 When Confucius drifted across mountains and sea to the hometown of Don Quixote, would this wonderful and pure idealist might well have said, "Isn't it delight to have friends coming from afar?" 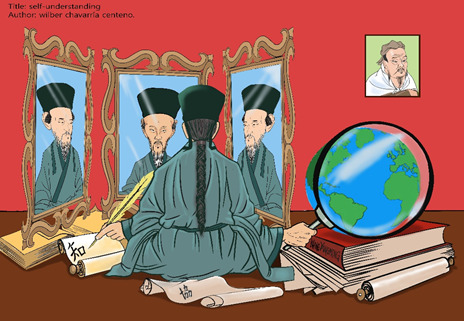 It is believed that this special exhibition of Confucius exhibition, like the prelude to the symphony, will open a new movement of cultural exchange between China and the West. 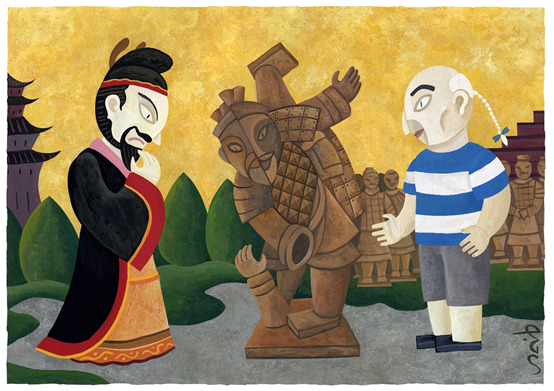 The CMIA has reached a friendly and cooperative agreement with CRIUA: in 2019, the exhibition "Cervantes in the Eyes of World Artists" and "Wang Yangming in the Eyes of World Artists" will be held in the Confucius institute of Guiyang and the Art Museum of Alcala university respectively. We are eagerly anticipating this event and appreciate the cultural vitality and the charm of these two different cultures in the others cultural context. 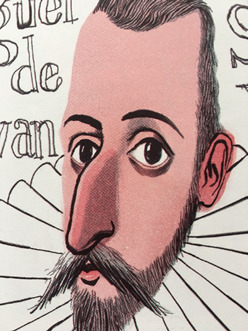 Samples of "Cervantes in the Eyes of World Artists"
Samples of "Wang Yangming in the Eyes of World Artists"